Dalhousie University’s new Fitness Centre has been open for over three months and so far the reviews are mostly positive. The Fitness Centre is beautiful. The main fitness hall on the second floor is 13,000 square feet and the room is broken into different sections: dumbells, bars, machines, free weights and cardio. On the other side of the second floor are four fitness studios. 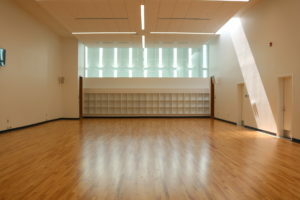 The studios will allow for new fitness classes such as Brazilian Jujitsu. There’s also a high-performance room on the first floor with the change rooms. The Fitness Centre is attached to the old Dalplex making the two facilities one larger Dalplex instead of two separate buildings. The direction and vision of the facility came from what students wanted. Students are funding this facility and new changes at the Sexton campus gym with a new $180 per year fee. There was a listening process done where management listened to what students wanted and tried to meet their needs. Kathie Wheadon, director of facility and business services at Dalhousie said students were looking for new equipment. However, there were problems with the old building like gym closures, the heat, and they didn’t have the capacity to fit a lot of equipment. According to Dal News, most of the equipment is new in the facility. They’ve added 74 new pieces of cardio equipment and more than 150 pieces of new strength training equipment. “I think any returning students are going to be wowed,” said Wheadon. She also mentioned Dalhousie would cap the number of outside memberships so that students won’t get pushed out. 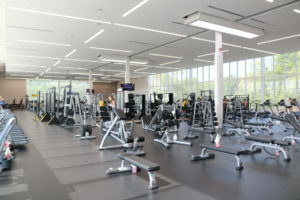 The addition of the Fitness Centre brought changes to the Dalplex. In the Fieldhouse, the workout space has been removed and the flooring has been redone inside the whole Fieldhouse. This redesign offers more court space for other sports such as basketball, volleyball and badminton. The small Atlantis gym got converted into a popular spin studio and the Cardio room transformed into a children’s play area. Tim Maloney, executive director of recreation and athletics, says the separation of the workout gym, fitness studios and sports courts allows for a more focused training environment. The new setup is also a boost to Dal athletics. The varsity gym inside the old building was too small to fit many teams, meaning teams couldn’t work out together. With this new building, teams can work out together in the high-performance gym (not strictly limited to student-athletes), and it’s another tool for recruiting athletes to Dal. The more court space in the Fieldhouse allows more space for athletes to practice. “For a student-athlete, it is so great to have a new Dalplex because it is such a cool atmosphere, it is so open, and it makes you excited to go to the gym because of that,” said men’s soccer co-captain Freddy Bekkers. Wheadon said they would take a year to listen on what improvements need to be made to the new facility before making any drastic changes. Most of the equipment is on a three-year lease, so they have the flexibility to move the equipment around as needed. There are still a few details incomplete, such as are no mirrors in front of the dumbbells – but they are coming. And there’s a need for more directional signage. “As a first trial I like that they are taking feedback for upgrades,” said Smith. He said he would like to see some different powerlifting equipment and more mirrors. As for the $180 fee, students who talked to the Gazette felt it was reasonable. Although Smith and recent engineering graduate, Alex Lee, wondered if people who don’t use the gym would feel the same way. “There is also the philosophy if you should make the fee mandatory for all students, whether or not you should have the option of opting out if you chose to,” said Lee. Wheadon is excited to welcome the students to the new facility for the start of the school year.